f6 7 716 191 013 0 / E01-058 Flue Elbow Kit 90 deg. f7 7 716 191 014 0 / E01-059 Flue Elbow Kit 45 deg. 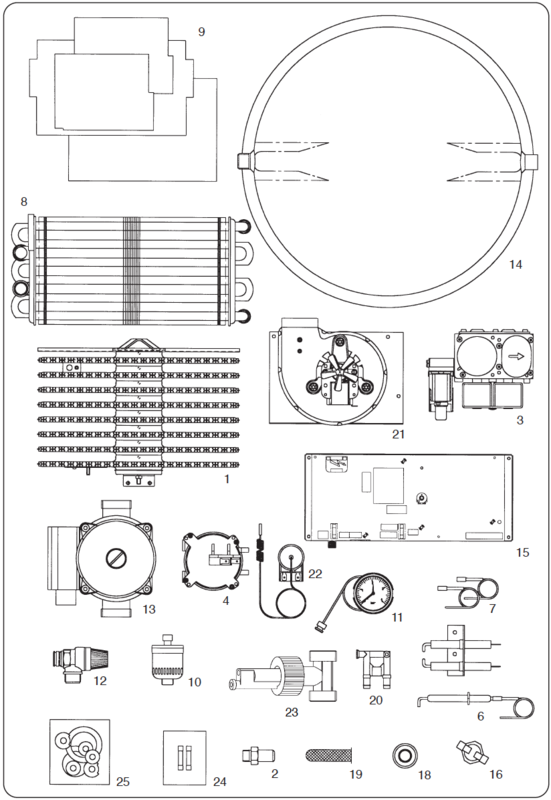 Find your Worcester Bosch 24i RSF boiler part above using our exploded parts list and tables.